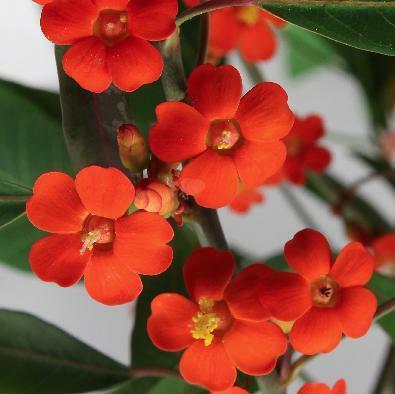 Euphorbia fulgens is a plant that is native to Central America and Mexico and has vivid red – orange flowers in absolute profusion and is ideal for wedding bouquets. The flowers appear in winter and flower through spring. 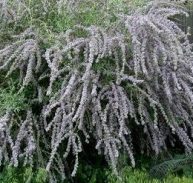 Medusa Head is evergreen with long arching stems. It can reach heights of 1- 4 metres dependent on habitat. It has cactus qualities so very little water is require and fertiliser is also used sparingly. It prefers full sun with minimal partial shade – the hotter the better above 10 degrees C.
In Mexico, they are often used as Christmas plants. They’re seen as more convenient than large conifers, and as they’re a local plant, they’re in plentiful supply. ENJOY THIS RARE AND COLOURFUL PLANT!